It is a gem of our St. Petersburg tours! 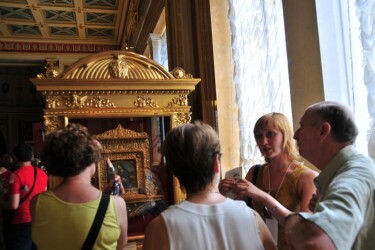 This tour includes a visit to 4 historic buildings, which are connected to each other and belong to the complex of the State Hermitage. Among the other notable things, you will see the best of the Romanov's collection and the magnificent Winter Palace! Our experienced guides will take you around the museum and make your visit to the Hermitage unforgettable. The tour cost includes: private guided tour, all admissions, hotel pick-up and fast track entry!